Home Health benefits	Foot Health – Are Your Feet Happy? Foot health is something we all tend to take for granted. Considering they take the weight of our bodies and take us places, it is critical to ensure they’re in good health. I recall, our family doc always examines our nails and can tell when there is a respiratory problem or even a skin problem! I recently went to the doc because I had a rash on my ankle that refused to heal. No, I am not diabetic. So I couldn’t figure out what the problem was. It would look like it was healing, and then become active again. Turns out it was because of dry skin. And I also learned that dry skin / eczema can run in the family. Did you know that our feet can indicate an underlying health issue? Watching out for anything out of the ordinary can help prevent unnecessary pain, stress and oh yes – those medical bills – not to mention the inconvenience of waiting at the doctor’s clinic. Ah, not that sort of cold feet where you decide against doing something. In this instance, we’re talking about cold toes, often caused by poor blood circulation. Cold feet are common in smokers, those with high blood pressure or heart disease or out of control diabetes that causes nerve damage. If your feet are cold and you don’t know why, it is time to talk to your doctor. If you wear high heels and have had a tiring day, I would be surprised if you did not have achy feet and fantasized about a nice foot massage. But like me, if you do not wear high heels yet experience constant pain, it could easily be because of a stress fracture. Maybe you went through an intense exercise session? Like long distance running, a game of basket ball? And if you have osteoporosis, it is trouble all the way. I had never heard of these. Apparently, one’s feet can turn from blue to red and back to normal, just like a chameleon. It is called “Raynaud’s disease” where the arteries become narrow. This can also relate to rheumatoid arthritis or thyroid problems. Sometimes, the ligament connected to the heel bone can be swollen and cause a sharp pain, especially as you wake up in the morning and get off bed, when your feet take your weight. This is commonly caused due to shoes that don’t fit well, too much exercise, or arthritis. Oh, a friend of mine had a spur at the heel that gave her hell. It could also be an infection, tumor or fracture that is causing the pain. Conditions like diabetes or an infection, vitamin deficiency and alcoholism can result in gradual peripheral nerve damage in the feet, where you start to lose normal sensation and start to drag your feet when you walk or experience a change in your gait. How Halloween-ish. Except it is not a costume prop. It is painful reality where the shape of the toes changes and the nails turn rounded on top, curving downward. A common cause is lung disease, liver or digestive problems or infections. It could also just be a genetic problem. Sitting or standing too long, on a long flight can cause this. Pregnant women often suffer from this. It helps to raise your feet and rest it on a pillow. My feet swell when I am on a long bus ride or when I sit for too long. As I said, putting those feet up on a pillow can relieve the swelling. But if those feet continue to stay swollen, it is a sign of bad blood circulation, lymphatic system issues or blood clot. It can also point to a kidney or thyroid dysfunction. I’d say it is time to see your doc. Diabetics are familiar with that burning sensation in their feet due to slow nerve damage, but this can also be due to a vitamin deficiency, athlete’s foot, and chronic kidney disease, poor circulation in the legs and feet or hypothyroidism. Foot sores that do not heal could be a warning of impending diabetes. As those suffering from diabetes will attest, this silent killer prevents wounds from healing, causing blisters that could get infected. If you are diabetic, take extra care to keep your feet dry and clean.Who wants fungus? Gout can cause the big toe to pain and swell, but so can osteoarthritis. Sportspeople who play on hard surfaces tend to develop a hurtful big toe and injuries around the toe joint. Ouch! Pain in the small toes usually begins at the ball of your foot, spreading to the toes. This could mean an injury or the pressure on those toes. There is a thickening of tissue around the nerve between the third and fourth toes and this is more common in women than in men. Another common complaint caused by fungal infections and called athlete’s foot especially in men. But itchy feet can also be due to an allergic reaction to cosmetics. If the skin is thick, it could be psoriasis which is an immune system problem and usually treated with a topical cream to relieve the itch. Yellow toenails: fungal infections, an inflammation in the lymphatic system, lung problems or rheumatoid arthritis. Spoon shaped toes: an iron deficiency. Whitish nail: an injury or illness. Sometimes the nail may separate from the nail bed when there is an injury or infection. If your nails are intact, but white, the underlying cause could be liver disease, congestive heart failure, or diabetes. Depressed toenails or toenails that are pitted indicate psoriasis. Hmm. Who would have thought feet and nails could play such a significant role in our health? Good foot care, particularly if you have a predisposition for diabetes is a must. If you see something unusual and persistent, don’t hesitate to talk to your doctor. Why suffer? Keep those feet clean. Wash with soap and then, dry well, especially between the toes. 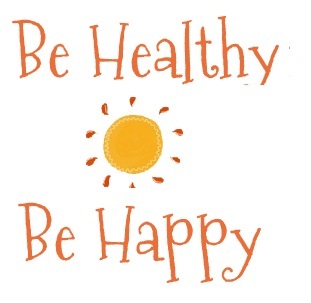 Stay healthy! Take care of your foot health!